You see, when I was growing up  as when all of our current leaders were growing up  the cameras were crap. The pictures were often blurry or overexposed. Someone’s elbow was in the shot. Or there wasn’t enough light or too much flash. Or the pictures simply faded in their albums. Let’s not even start on Polaroid. It didn’t really matter then if the photos weren’t great, because these were our memories. Without digital cameras, parents took the picture and hoped for the best. With the cost of film and processing, people didn’t take that many pictures. And it was fine. Until you become President of the United States and Life writes a book about you and all the pictures covering your earliest years are not good. During the slower parts of the Inaugural day, I skimmed through The American Journey of Barack Obama. I won the book from Book Dads (Thanks guys!) and was really looking forward to spending time in the Obama world. But now I realize that I was mostly looking forward to the photography of a Life publication. 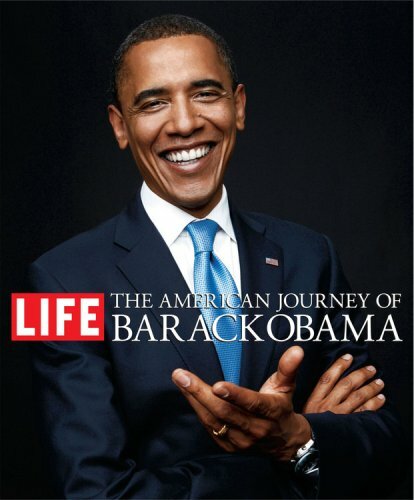 What I didn’t think about was that only a fraction of Obama’s journey was photographed by the experts. A great deal of the book relies on the photographs from his family. Pretty much the same type of blurry, overexposed, faded, poorly framed photos that I grew up with. I still enjoyed the book and am looking forward to really reading it, including the essays at the end from some great writers. I can still highly recommend it for Obama fans. But personally, I may look around for a book that only chronicles the campaign with fantastic photography. I’ll also look at my digital camera with new respect, knowing that if one of my daughters is ever leader of the free world, the biographers will have more than five thousand pictures from which to choose. Leaders of tomorrow, we give you digital photography. You’re welcome. During the tv coverage, I enjoyed watching Malia Obama take a small silver digital camera from her pocket and snap pictures during the ceremony. Wouldn't it be fun to get a look at what's on her memory card from that day? !